Dwight David Eisenhower, 5-star General, in 1947 after World-War-2. During his long military career, Eisenhower was always an office-based strategist. He never fought in active combat. Eisenhower had a 35-year military career. He served as a military officer in Washington D.C. policy making positions, and he worked as a strategic planner during both WW-I and WW-II. Yet he was always a historian, strategist, and tactician; never a combat soldier. Eisenhower never fought even a single day in ctive combat. He graduated from the Army officer school West Point Academy 1915, and until the 1940's he continued to receive more and more military trainings. His continuing education, with military paid research and historical studies, gave Eisenhower a professor's level of theoretical interpretative and collegial committee governance skills. During WW-I, he remained stateside working as a trainer. By the standard promotional structure (not by battlefield merit or acts of bravery) he was eventually promoted to the rank of General Commander. Allied troops were intimidated by the superior strength of Axis forces in Europe. It looked horribly certain that Axis would win. Eisenhower was considered to be the one man who could possibly undertake the extraordinarily detailed, tightly coordinated tactical and strategic planning that could be the key to overcome a powerful enemy. With zero combat experience, Eisenhower was named supreme commander of the Allied Expeditionary Force in Europe. He did visit the soldiers in the field, but was quickly whisked away from any active fighting. Until the stunning and largely unexpected success of D-Day in 1944, even Eisenhower did not believe that his elaborate orchestrations could work. Dad was a mechanical engineer Surya-yuti-Budha-uttama . He worked in dairy farm operations Surya-Kanya and parented a large family. Mom was a private person who disliked the limelight Chandra-12. She was Ike's strong supporter. Eisenhower served as a high-level defender of the American majority way of life, particularly the cultural (Chandra) values of pluralism, democratic governance and participatory economic systems. During a lifetime military career, General Eisenhower never fought a single day on the battlefield. Rather, he protected and defended from an elite mentalistic strategic perspective, signaled by atmakaraka Surya in logical-strategic Kanya-Chitra. Reportedly Ike and Mamie did not agree on very much. They were ready to divorce on several occasions. Typical of bhava-6, Mamie suffered from numerous medical conditions including constitutional depression, hormonal imbalance, and possible alcoholism. Ike's chronic dissatisfaction with the state of his marriage is indicated by Chandra-12 ++ Zukra-yuti-Ketu. Nevertheless the couple had much shared vision due to Guru rules Ike's Visaka radical lagna ++ Guru rules Mamie's Purvabhadrapada lagna. The wealthy socialite daughter of a prominent town businessman, Mamie was dedicated to promoting Ike's career, and her enthusiastic large-scale social entertaining skills proved key to his continuous ascent through the military hierarchy. 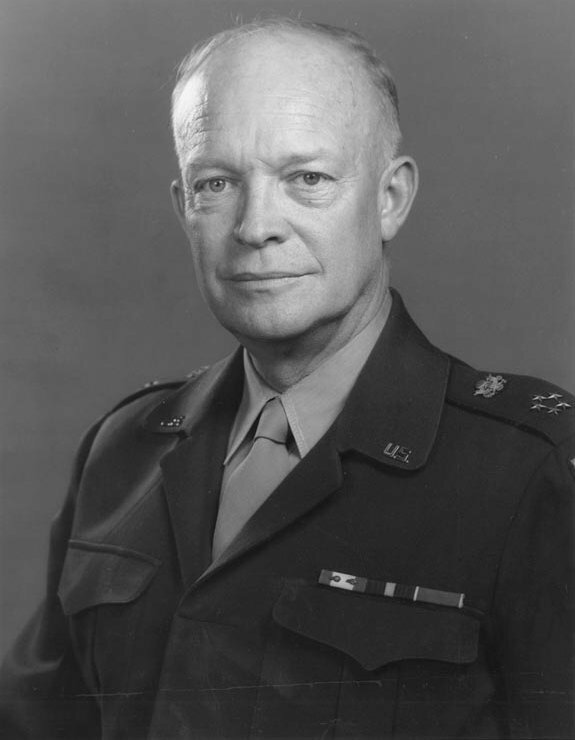 Supreme Commander Eisenhower never fought even one day in combat. He was an expert strategic and tactical planner, administrator, report-writer, and manager par excellence. Due to Zukra-yuti-Ketu-2 Dwight and Mamie spent more time apart during their marriage than they spent together, as General Eisenhower pursued a peripatetic military career. Risk-rewarding Rahu occupies the secretive, camouflaged 8th-from-Chandra. Eisenhower's most powerful, over-reaching activities occurred in extremely dangerous diplomatic environments. As lagnesha * co-ruler of Vrischika, dissociative Ketu gains considerable strength in lagna. Usually there is at least one match of each partner's Chandra to an important axis in their spouse's nativity. The Kumbha Chandra of POTUS-pair-34 Military Families 1896-1979 Mamie Doud Eisenhower 's matches Dwight's Rahu-Ketu navamsha axis = Kumbha-Simha. High forehead. The majority of Purvabhadra nativities are wanderers. For Purvabhadra natives, the condition of prosperous, preaching, inclusive, broad-scope, philosophical, humanistic Brihaspati may considerably affect the outcome. Guided by patronage from the civilizations of Pegasus. Guru-ruled Aja-eka-pada ladies are often excellent dancers. Kumbha pada 1-2-3 expresses Guru's rulership of 2-collections, affluence ++ 11-revenues, friendships. Guru-and-Shani are mutually neutral. Pada 1-2-3 ladies are found at the overlap between Guru's financial-social expansions (2-11) and Shani's ability to bridge the physical-astral worlds. They are often involved in large-scale social economic connectivity which has both a public and a private dimension, such as international government or corporate aid. They can also be social scientific theorists and writers. Generally their husbands are involved in large-systems work. Meena pada-4 expresses Guru's rulership of 1-embodiment ++ 10-leadership, reputation, Guru rules both Purvabhadra nakshatra ++ Meena rashi, creating a concentrated effect of Guru in this unique pada. Their husbands are generous teacher. Pada-4 is less oriented to financial affluence and more attuned to visionary truth. These women become leaders in Guru-type wisdom fields such as divinity, philosophy, spiritual healing, clairsentient understanding, envisioning,, or ancestor guidance. and is extremely influential in the community in which she moves. and is a good judge of character." 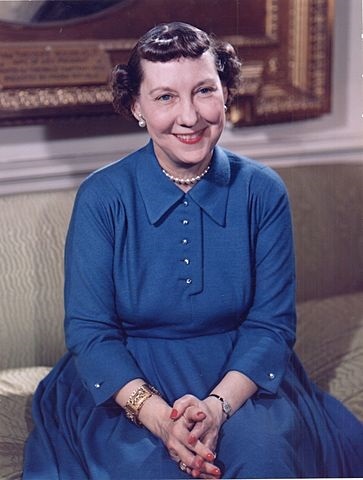 in addition to constitutional depression, hormonal imbalance, and possible alcoholism, Mamie Eisenhower suffered the tragic death of her first-born son from epidemic disease when the boy was only a toddler. Dad was a prominent citizen of the town Surya in bhava-10. Due to his sudden wealth, he retired age 36. He owned a prosperous meat-packing company, and invested his capital into animal slaughtering operations (stockyards) Surya-Vrizchika-Visaka slaughter. Surya-10 in 10th-from-10th indicates that Mamie was a careerist in her own right, although she advocated (7) for her husband and ascended with him as a team. Mamie endured a long list of health conditions, in including constitutional depression, hormonal imbalance, possible alcoholism, a chronic inner ear imbalance, and oft-noted expressions of jealousy. In addition, her marriage partner was unsatisfied and frequently away. They discussed divorce frequently but in expectation of his promotion to high visibility ranks were advised to forestall that career-killing decision. Mom was a housewife and mother. Mother and daughter had a long-lasting but somewhat fraught relationship. Mom survived until Mamie was 63 years old. Mamie often said that she belonged to a two-person career. She is famously quoted as saying "I have one career, and that is Dwight Eisenhower". 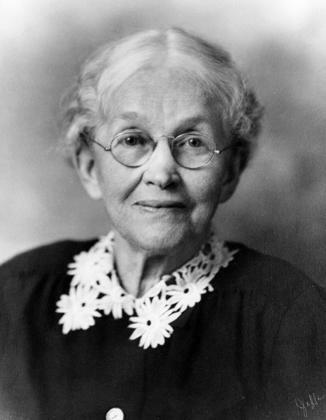 Mamie suffered numerous health issues (Chandra-rogesha-1). Dwight's marital life was complicated by his Zukra-yuti-Ketu which creates distancing and disorientation with women. Nevertheless there are strong connections between the spouses, such asIke's Visaka lagna well-attuned to Mamie's Purvabhadrapada lagna, and his Chandra-Thula well-aligned with her Chandra-Kumbha. Despite decades of affairs and disappointments, the couple enjoyed an underlying friendship, and they avoided divorce. As a public pair, they emphasized shared career goals and the need for a harmonious facade in support of his career-pinnacle POTUS role. With Chandra-Kumbha-1, Mamie liked large-group events. In the glee of postwar affluence, and general relaxation after the prolonged stress of WW-2, Mamie's legendary big dance parties quickly became the social center of WDC. Mamie's large-scale entertainments offered both showcase opportunities for USA musical talent and spin-doctor approved, American-branded, good clean fun (her Chandra-1). On more intimate occasions when a smaller group would be gathered to mix socializing with politics and deal-making, Eisenhower's VPOTUS Richard Nixon played the piano and sang show-tunes. Rahu in bhava-12 * in swabhava of Saptarishi Guru, the Shadowy Specter seeks privilege via glamorous or unusual retreat environments, withdrawal, sanctuary; desires a special, important, invisible role in private guidance, imagination, isolation, private enclosures, research laboratories and libraries, Other-Worlds. Exciting, opportunistic, ambitious ancestor guides. Thrives in culturally-mixed monasteries, spiritual sanctuaries, hospitals, prisons, rehab centers, and other secluded spaces. Rahu the Poseur may pose as a dreamer, an ancestor spirit-guide, a magician from distant lands. General Eisenhower lived away from his wife during numerous extended bhukti of military duty, often several years at a stretch. He famously did not permit Mamie to visit him during his WW-2 planning years based in England, although the Army apparently was willing to provide her with protective security. General Eisenhower was said to be enjoying the company of his jeep driver during those years. Match of each partner's Chandra, radical lagna, or R-K axis to an important axis in their spouse's nativity. POTUS-34 Interstate Highways 1890-1969 Dwight D. Eisenhower's Karkata-swamsha matches Mamie's R-K axis Karkata-Makara. Her Chandra-+-lagna Kumbha matches his R-K Simha-Kumbha.